Sierra Conservation Center is a minimum to medium security facility located in Jamestown California. It is one of two facilities that selects and trains inmates into the conservation camp program. There are 20 of these conservation camps, which are located in the wilderness and have no walls, fences etc. The purpose of this is to both rehabilitate the inmates and to train them in fire suppression so that when a wildfire starts the inmates can be quickly sent to the area to fight the blaze. 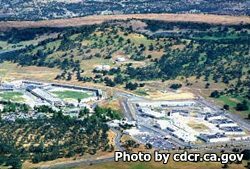 It is important to note that the Sierra Conservation Center does not let all the inmates participate in the conservation camp program, inmates at the Sierrra Conservation Center may receive training, but many of the inmates will never be selected for the camps, they will stay at the main prison facility to serve their time. The main facility has the same programs all prisons offer, an adult basic education, GED classes, and vocational training. Some of the vocational programs offer training in Carpentry, Masonry, Welding, Auto mechanic and body repair, and tech educations in computers and electronics. Once your visiting application is approved you may visit your inmate on Saturdays and Sundays from 8:30am-3:30pm. All visitors must arrive before 2pm to be processed for visiting, if you arrive after 2pm you will not be allowed to visit. Visitors are also permitted on four holidays, New Year's day, July 4th, Thanksgiving and Christmas day. Inmates who are in Administrative Segregation are only allowed scheduled visits. You can schedule a visiting appointment online here.